What Are The Rules To Razz? - Casino Answers! Casino Answers » Poker » Razz » What Are The Rules To Razz? Good ol’ Razz, also known as the most frustrating game on the planet. Many people saw Razz for the first time at the World Series of Poker, as we saw Howard Lederer‘s frustrated face sum up the game everyone loves and hates. Razz is like the polar opposite of 7 Card Stud, and is a lowball game. The object is to make the best low hand possible, and straights and flushes don’t count, with the best hand being A2345. There is no low qualifier however, so you can even win with a hand like 89JTQ(although that will require your opponent to have a K low or worse, not uncommon at low limit games). The best hand in razz is the King as it is the “highest” card and the lowest card is the Ace which counts as a low. The best hand is a A-2-3-4-5 as flushes and straights have no meaning in this game. So even if those cards are all suited, a straight flush in most forms of poker, it would still be the best hand since there are no flushes. When playing Razz, the best strategy is to be very picky with about your starting hand. The best possible starting hand is 3-2-A, but any starting hand with cards in the “wheel” (ace through five) is a very strong starting hand. It’s impossible to keep an eye on what the other players at your table are starting with. If you are holing an 8, but showing a 2 and everyone else is showing cards that are higher than a seven they may be susceptible to a well placed bluff. Online Availability: Razz is most commonly played at Full Tilt Poker, where the likes of Howard Lederer and Phil Ivey will even play! You can also play Razz at Carbon Poker. 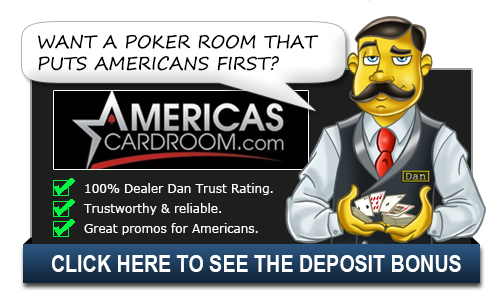 Where can USA-based poker players play Razz online? Players who are based in the United States of America are welcome to play Razz at either Full Tilt Poker or Carbon Poker.